New York escaped convicts manhunt: Underwear edition. U.S. 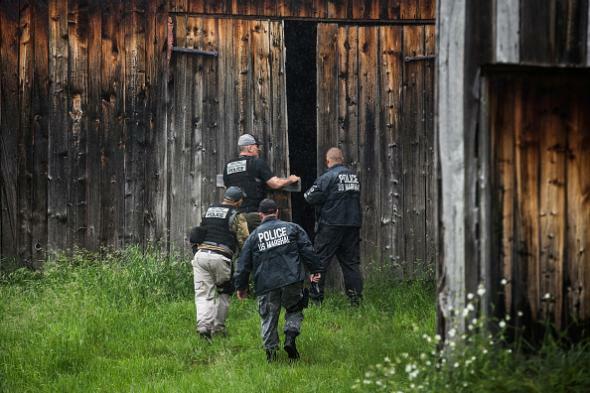 Marshals and police officers engaged in the search for Richard Matt and David Sweat. Authorities believed as of Monday morning that sometime in the preceding 48 hours escaped New York convicts Richard Matt and David Sweat had been inside a hunting cabin 15 miles from the Clinton Correctional Facility prison they escaped from, the New York Times reports. Officials believe DNA testing has linked the missing convicts to the scene, the paper says. 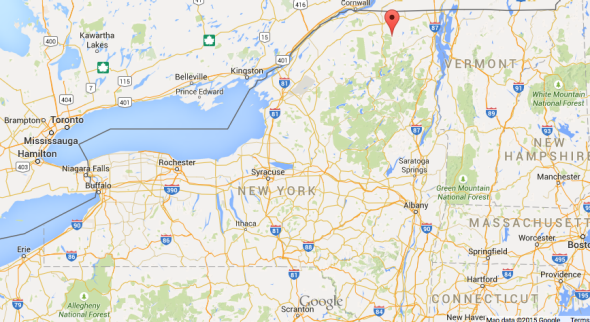 A pair of prison underwear was found in the cabin, which is near the small towns of Owls Head and Mountain View, New York. Owls Head and Mountain View are more than 300 miles away from the area around Friendship, New York where heavy but fruitless searching took place this weekend after a potential sighting was reported. The red arrow here points to Mountain View, while Friendship is in the area of the Allegheny National Forest in the lower left. The most recent development in the search was triggered when the owner of the cabin near Mountain View saw saw a man fleeing from the property on Saturday. Matt and Sweat have been missing since June 6.